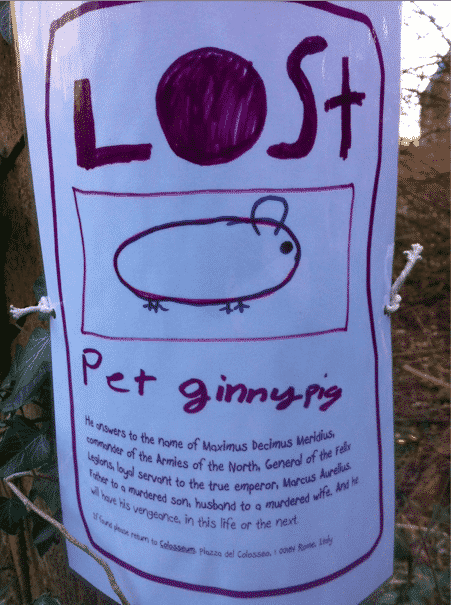 1 missing pet signs | This Blog Rules | Why go elsewhere? If you have ever lost a pet then you know how upsetting this is. 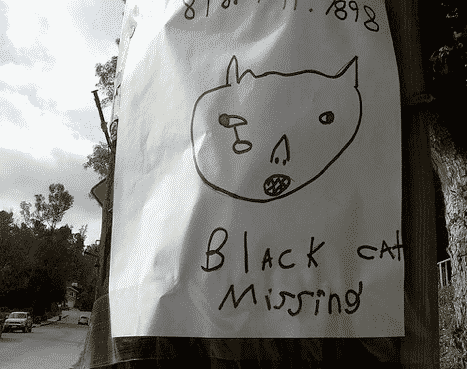 However, I hope you didn’t go and make a weird missing pet sign like these freaky ones. 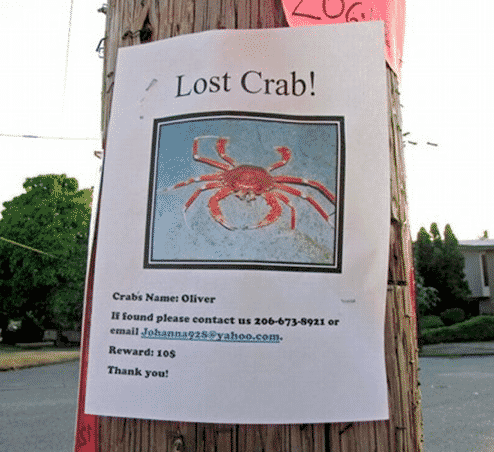 Don’t you just hate it when your pet crab goes missing? Especially when you’ve gone to the trouble of giving him a sweet name like Oliver. Jeez, when you think about it 10 bucks is a pretty small reward for being reunited with such an important person in your life. 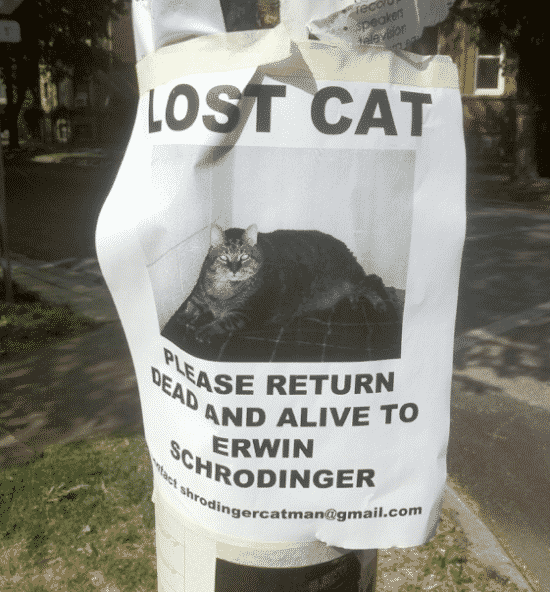 It’s not often that you can see a missing pet sign that contains a paradox on it. You could end up standing in front of this sign scratching your head for a long time if you’re not careful. Is this little hairy dude just trying to mock his owners? Judging by the smug look on his face I would suggest that it exactly what he is doing. It’s a brilliant photo all the same. Hmm, I think the chances of seeing dear Harry again are pretty slim. However, I’m encouraged to see that a few people have ripped off the little bits of paper on the sign. Maybe they have seen him buzzing around after all. I think it might be a joke but I just can’t be 100% sure. To be honest, I don’t even know what the hell is going on with this missing pet sign. Someone put a lot of effort into it, that’s all I know for sure. The world is getting stranger by the day it seems. Now where could that lovely tasty parrot have got to? I guess you’ll just need to pop along on Saturday at midday and see if you can recognise his charred feathers. 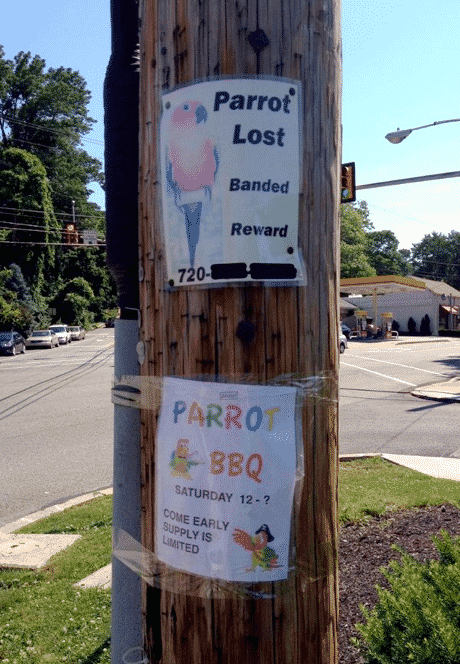 Never having had the pleasure of attending a parrot bbq I can only imagine the taste of this bird once grilled. Sometimes it is possible to put just a little bit too much information on these signs, you know. Telling us what he looked like and what his name is would probably have been enough without even going in the anatomical details. 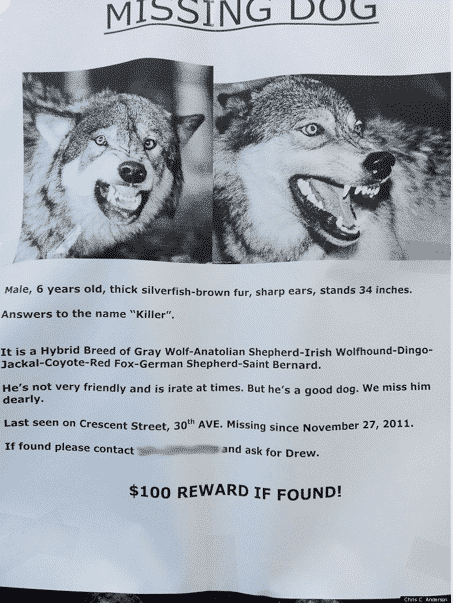 This is one missing dog you really don’t want to meet on a dark night, even if means earning $100. The bizarre mixture of breeds swirling around in his blood is probably the reason why he is “not very friendly” and “irate at times” I guess. That won’t be much consolation when Killer rips your freaking arms off. 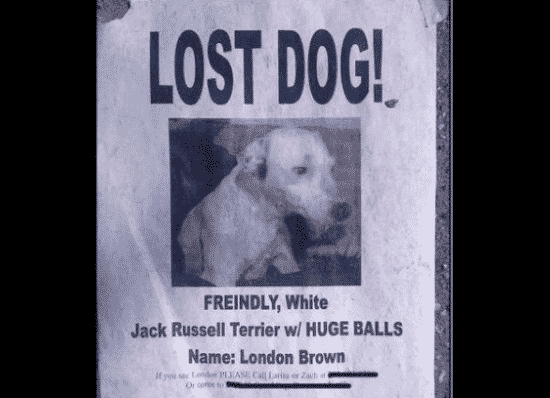 Eric the missing dog sounds like a bit of a character. 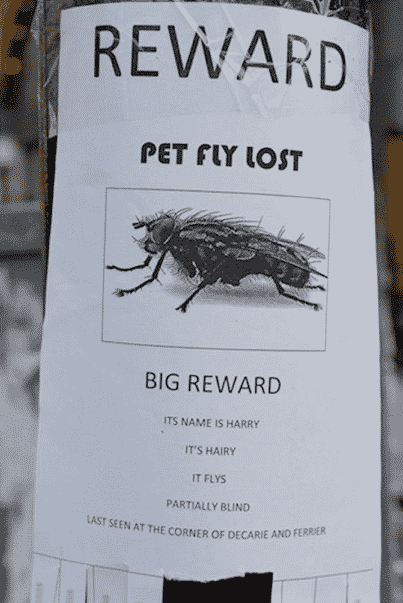 I see the reward has dropped since the sign was first put up. 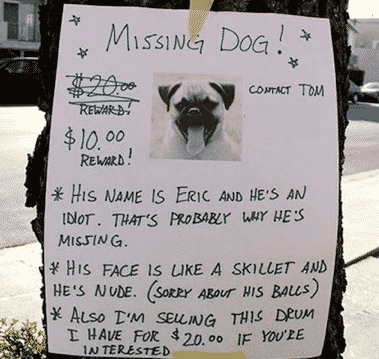 I wonder if that indicates the owner’s waning interest in Eric or if he needs to sell the drum in order to pay the full reward. 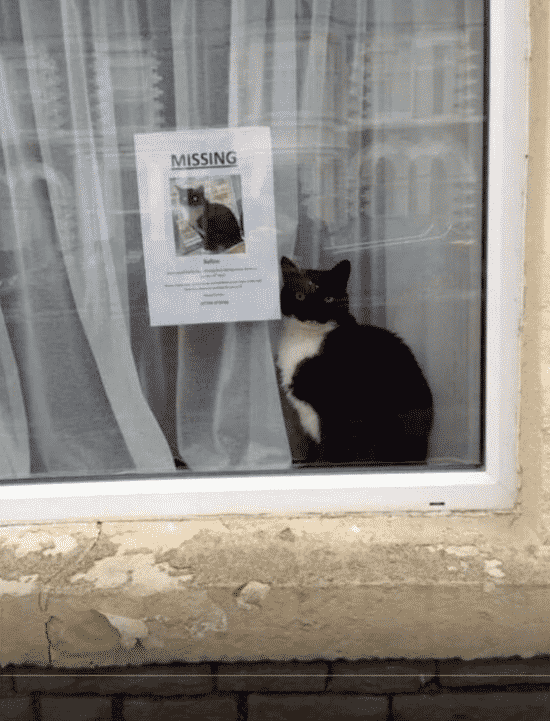 Isn’t this just the most heart breaking missing pet sign ever? I really don’t think any neighbours are going to recognise the moggie from this hand drawing but it was a good effort all the same.